Igwe OU, Mgbemena MA. Medicinal Chemistry & Analysis. Hoppe RHW, Linsenmann C (2016) C0 Interior Penalty Discontinuous Galerkin approximation of a sixth order Cahn-Hilliard equation modeling microemulsification processes. RistiÄ S, RankoviÄ B, KosaniÄ M, StanojkoviÄ T, StamenkoviÄ S, et al. (2016). Phytochemical study and antioxidant, antimicrobial and anticancer activities of Melanelia subaurifera. Journal of food science and technology 53: 2804-2816. Ihsan M, Niaz A, Rahim A, Zaman MI, Arain MB, Sharif T, Najeeb M (2015) Biologically synthesized silver nanoparticle-based colorimetric sensor for the selective detection of Zn 2+. RSC Advances 5: 91158-91165. Ghadi R, Dand N (2017) BCS class IV drugs: Highly notorious candidates for formulation development. Journal of Controlled Release. Arora M (2013) Pharmacognostic and Pharmacological Studies of Ammomum Subulatum. 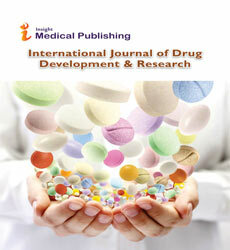 Journal of Biomedical and Pharmaceutical Research, 2(01). Maheshwari Mittal M, Prajapati Paresh A Formulation and Evaluation of SEDDS containing lipid lowering Drug. Ashwathanarayana R, Naika R (2015) Preliminary phytochemical and antimicrobial properties of Olea dioica Roxb bark extract collected from Western Ghats, Karnataka, India. Journal of Pharmacognosy and Phytochemistry 4: 156. El-Enin ASA, Osman DA, El Said HS Journal of Global Trends in Pharmaceutical Sciences. Chouduri AU, Roshid M, Uddin N, Wadud A (2015) Deactivation of Uropathogenic Proteus Bacterial Toxin by Polyphenols of Tamarindus indica Bark: A Robust Inhibition of Hemolysis. Journal of Microbiology Research. 5:128-133. Bhamere VB, Joshi BA INTERNATIONAL JOURNAL OF UNIVERSAL PHARMACY AND BIO SCIENCES. Indumathi SM, Manigandan V, Khora SS. Antimicrobial and Larvicidal Activities of the Tissue Extracts of Oblong Blowfish (Takifugu oblongus) from South-East Coast of India. Ashwathanarayana R, Naika R (2015) Preliminary Phytochemical and Antifungal Activity of Olea dioica Roxb., Collected from Western Ghats, Karnataka, India. Advances in Plant Sciences and Biotechnology 84. Chowdary KPR, Rao PR, Prasad SVUM International Research Journal of Pharmaceutical and Applied Sciences (IRJPAS). Arora M, Kapoor R (2013) Isolation and Characterization of a Novel Chemical Entity from Ether Extract of Ammomum subulatum Leaves. International Journal of Research in Pharmacy & Science. Kekuda TP, Raghavendra HL (2014) Analgesic Activity of Leaf Extract of Olea dioica (Roxb.). Science, Technology and Arts Research Journal 3: 116-118. Joshi BA, Badola A, Kothiyal P INTERNATIONAL JOURNAL OF UNIVERSAL PHARMACY AND BIO SCIENCES. Bat L, Arici E, Kumar A, Vaishnavi R, Rasal KD, et al. (2016) Journal of Coastal Life Medicine. Journal of Coastal Life Medicine 4: 841-845. Motamarri SN, Karthikeyan M, Kannan M, Rajasekar S (2012) Terminalia bellerica Roxbâa phytopharmacological review. Int J Res Pharma 3: 96-99.